Today the races of the A. Le Coq 61st Moonsund Regatta took the participants to Haven Kakumäe. 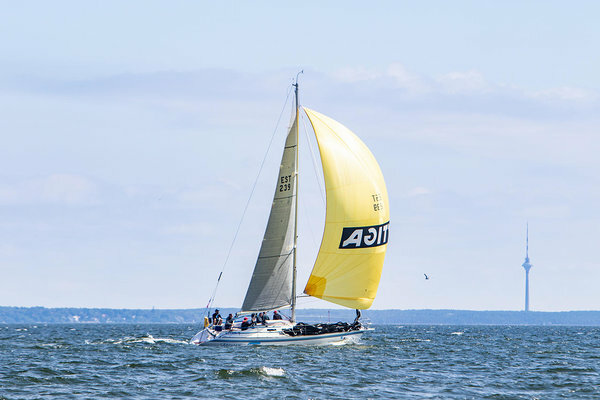 We are very proud that for the very first time the President of the Republic of Estonia, Kersti Kaljulaid, honoured the regatta with her participation. Fortunately the yesterday’s forecast that did not give much hope for stronger winds was not quite correct. Although the first race was postponed by an hour, the northeast winds of 7 m/s were merciful and let the races commence. The evening festivities drew a big audience of fans. “The party is awesome but we shouldn’t forget the people behind the hard work. 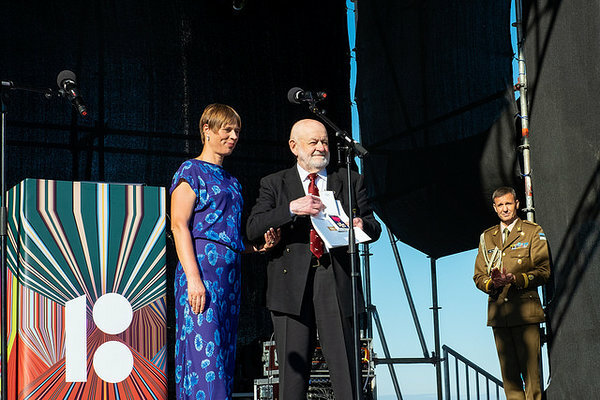 This is why our lifelong sailing enthusiast Arvet Tetsmann received the Order of the White Star from President Kersti Kaljulaid,“ said Egon Elstein, president of the Yachting Union. Arvet Tetsmann’s book “The Story of Estonian Sailing” was also published today. 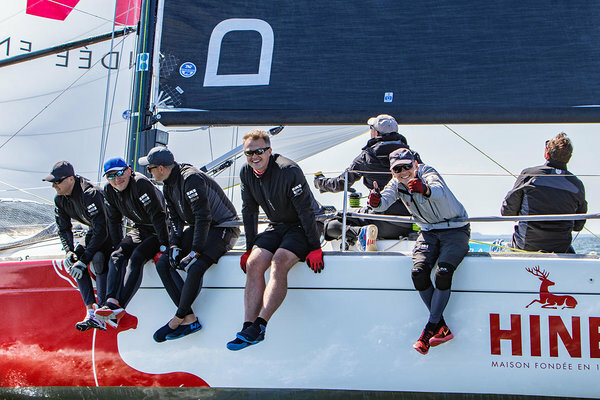 Tomorrow one of the longest legs of the regatta, Olybet Kakumäe – Kärdla race, will take the boats and sailors to the island of Hiiumaa where the regatta will remain for two days.